MMA Ratings: UFC 225: What's Next For Robert Whittaker and the Middleweight Division? UFC 225: What's Next For Robert Whittaker and the Middleweight Division? One of the best fights of the year took place this past Saturday night in the main event of UFC 225, when UFC Middleweight Champion Robert Whittaker and Yoel Romero went to war in one of the greatest rematches of all time. 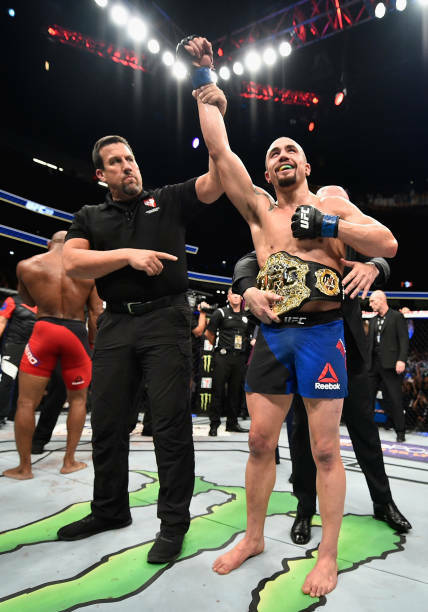 Just like the first fight last summer at UFC 213, these two incredible athletes won "Fight of the Night" awards for their back-and-forth brawl, which Whittaker took via a close, somewhat controversial, split decision. Whittaker has now won nine straight fights and looks like the next Anderson Silva of the middleweight division, while Romero has now lost back-to-back title fights and is likely destined for 205 lbs after missing weight in two straight fights. With Romero seemingly out of the title picture for the foreseeable future, now we are left to wonder who is next for the champion Whittaker. One thing that could pose a potential problem is that Whittaker broke his hand in the Romero fight and is likely going to be out for a while healing up his injuries. For a guy who has been dealing with a lot of injuries over the past year, having Whittaker out on the mend yet again isn't ideal, but it should give the rest of the division time to sort itself out as the next #1 contender rises up and distances himself from the rest of the pack. Based on the rankings and who is coming off of a win, the guy who makes sense for Whittaker's next title defense is probably Chris Weidman, the former champ. Weidman hasn't fought since last summer due to injuries, but the last time we saw him fight, he submitted Kelvin Gastelum to snap a three-fight losing skid. Weidman is still out injured but is planning on a fall return, and that could coincide with Whittaker's own return from injury. We all know timing plays a huge part in who gets a title shot and who doesn't, so Weidman's current injury may actually work out in his favor if his return matches up against Whittaker's. There's no question Whittaker vs. Weidman would be a terrific fight, and there's a very good chance it's the next middleweight title bout. 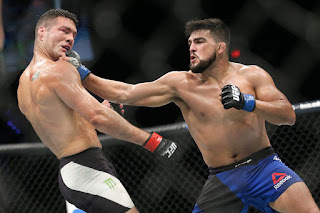 But even though Gastelum lost to Weidman, you can't count him out of the middleweight title mix, as he's currently healthy and coming off of a huge decision win over Ronaldo "Jacare" Souza. Gastelum was supposed to be the standby fighter in case of a last-second injury to Whittaker or Romero, according to UFC President Dana White, but due to "personal issues" was not able to fight this past weekend. We are left to wonder what White meant by that, but could guess that it has something to do with Gastelum enjoying marijuana and the fact the Illinois Athletic Commission has a zero-tolerance policy towards weed. But given a full-notice camp, Gastelum should have no problem passing any drug tests, and if Whittaker isn't out that long and Weidman is still sidelined when he's ready to return, a Whittaker vs. Gastelum fight makes a lot of sense. Other than Weidman or Gastelum, there are a few other middleweights who could be considered for a potential title shot. Even though Luke Rockhold and Jacare are coming off of losses, both guys could potentially jump back into the title mix with another win or two. Then there are guys like David Branch, Brad Tavares, and Lyoto Machida, who could be put into the mix with another win or two. Not to mention young up-and-comers like Paulo Costa, Israel Adesanya, and Antonio Carlos Junior. The middleweight division of today is a lot different than the middleweight division of a few years ago, when guys like Michael Bisping, Dan Henderson, Vitor Belfort, and Silva were at the top, but there are still a number of intriguing title challengers for Whittaker to take on next. Based on timing and availability, the next matchup for Whittaker is likely going to be either Weidman or Gastelum, but we all know how crazy this sport can be and how so much can change in a short amount of time. It will be interesting to see what happens in the next few months. • Robert Whittaker vs. Yoel Romero 2 (UFC Middleweight Championship): Robert Whittaker def. 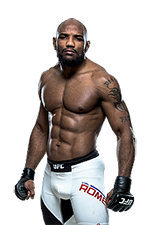 Yoel Romero via split decision (48-47, 47-48, 48-47).